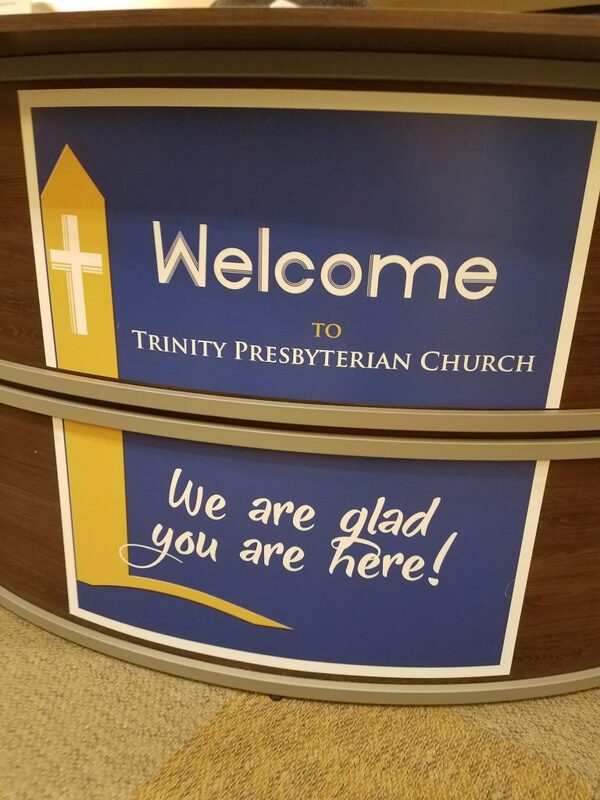 Welcome to Trinity Presbyterian Church of McKinney, Texas! We offer two worship times on Sunday morning at 8:30 am and 11:00 am. Both worship services are the same and include a blend of traditional and contemporary music. The worship service at 11:00 am is available via Live Stream and also archived on our website. We offer complimentary coffee and refreshments between Sunday worship services in Eva Joplin Fellowship Hall. This is a great time and place to learn about upcoming events and mingle with other worshipers. When you visit Trinity for the first time, please visit the Welcome Desk, where a church or staff member will be able to answer questions and provide directions. It is located in the rotunda foyer just outside the Great Hall. Each first-time visitor will receive a visitor’s bag with information about our church. EARLY CHILDHOOD – Childcare is offered for children age 6 weeks to pre-kindergarten during both worship services in our early childhood wing. Because the safety of every child is the highest priority, TPC uses a computerized check-in/check-out system. In addition, excellent child to adult ratios are maintained. ELEMENTARY – Children in Kindergarten through 2nd grade may attend Children’s Chapel during worship. To do so, sign up on the clipboard on the Welcome Desk outside the Great Hall. Children remain with their parents for the first part of worship and are dismissed with a staff member after the Time for Young Disciples in the worship service. Worship bags with activities for children to use during worship are available at the Welcome Desk as well. Children in 3rd grade and up are encouraged to sit with their families during the worship service. YOUTH – Youth in 6th through 12th grade are encouraged to attend either the 8:30 am or 11:00 am worship with their families, in addition to a special Youth worship called TYME which begins at 9:30 am. Early Childhood – ages 6 weeks to Pre-K, located in the Early Childhood 100 wing, just past the Check-In Desk in Eva Joplin Hall. Children – ages Kindergarten to Fifth grade, meet in the TK Lounge in the 200 wing. Youth – ages middle school through high school meet in The Loft, room 300. Adults – Adult Sunday School Classes are also available during the Sunday School hour in classrooms around the church. Individuals interested in learning more about the Presbyterian faith and the ways TPC strives to serve God are invited to visit our What We Believe page. We also offer an Orientation to Trinity class 3-4 times per year. To learn more about the pastors, visit our Clergy page.